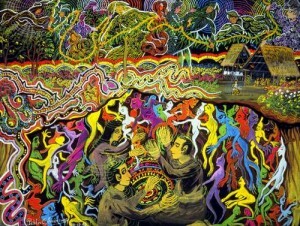 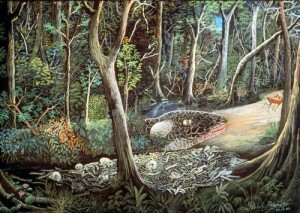 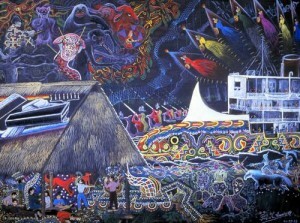 As part of his research for Supernatural, Graham Hancock traveled to the Peruvian Amazon to drink the powerful plant hallucinogen Ayahuasca with indigenous shamans. Such visionary experiences, Hancock argues, were fundamental to the unprecedented and astonishing evolutionary leap forward achieved by our species during the past 40,000 years and provided the inspiration for the earliest art and religious ideas of mankind. 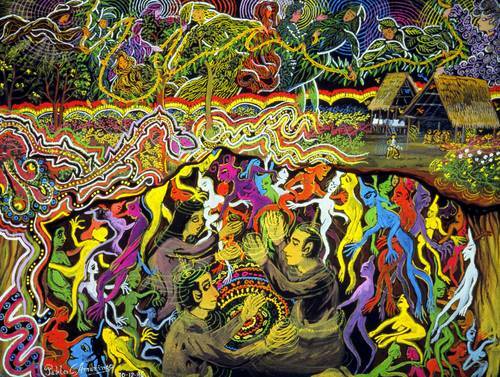 It is difficult for those who have not experienced Ayahuasca, or other related shamanic hallucinogens, to visualise the strange parallel realities into which these substances bring us. 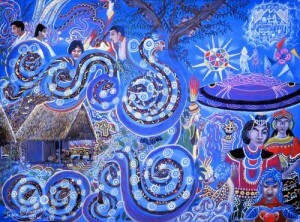 Fortunately, however, a number of shamans in the Amazon are also gifted artists and have made paintings of their own visions. 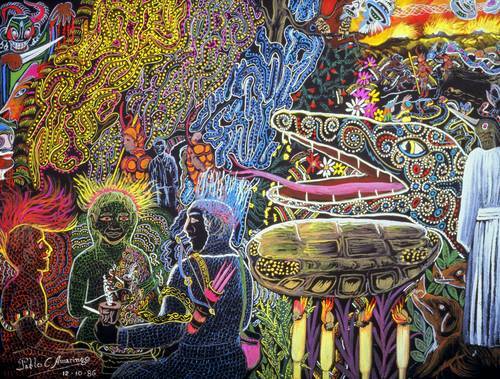 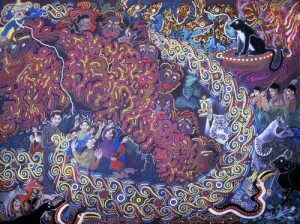 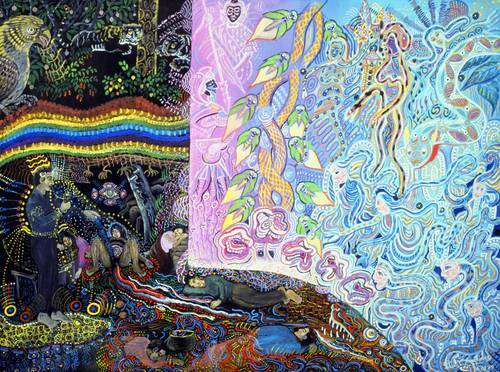 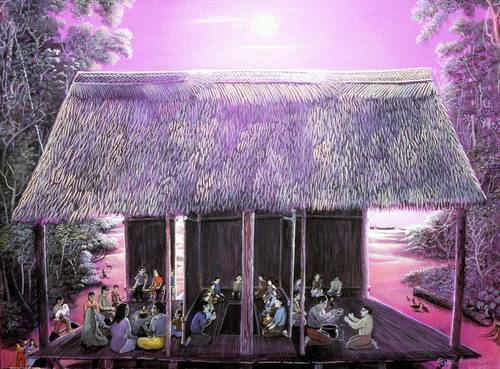 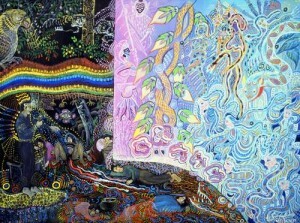 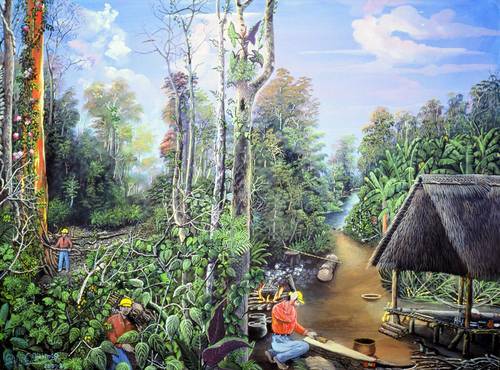 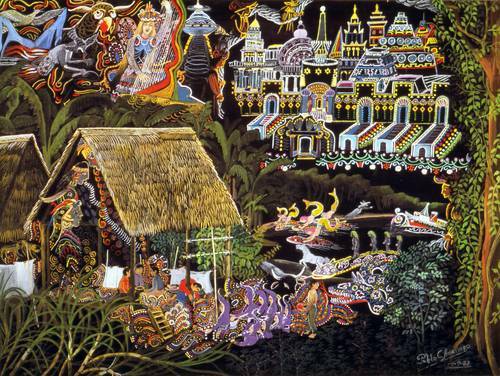 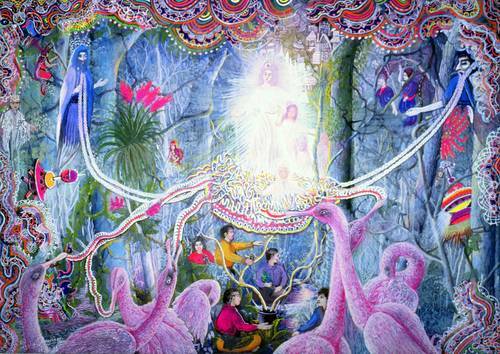 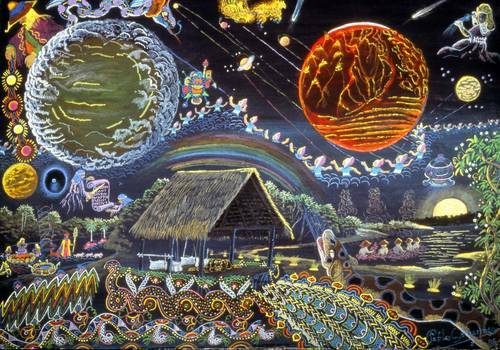 Through these paintings it is possible for all of us to get some glimpse of the Ayahuasca Otherworld – which, mysteriously, is not a different place for each different individual who drinks Ayahuasca. On the contrary, whether experienced by an Amazonian shaman, or an American lawyer, or a European businessman, or a Japanese fashion designer, the Ayahuasca realm is always recognizably the same place, inhabited by the same intelligent beings with the same mission to teach us important truths about ourselves and the nature of the universe. 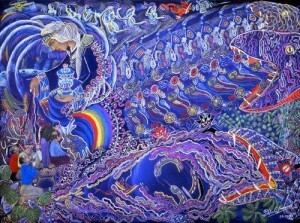 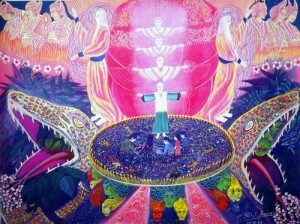 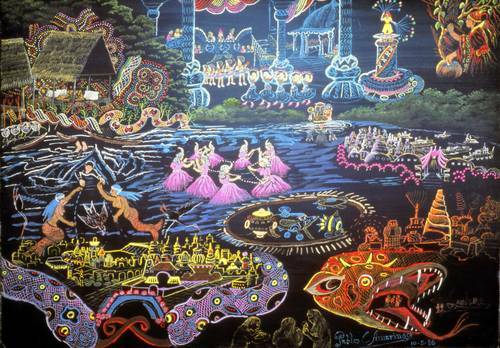 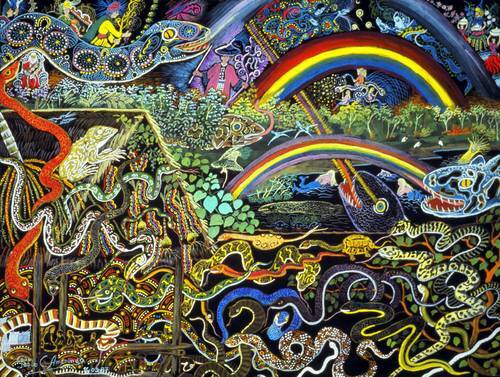 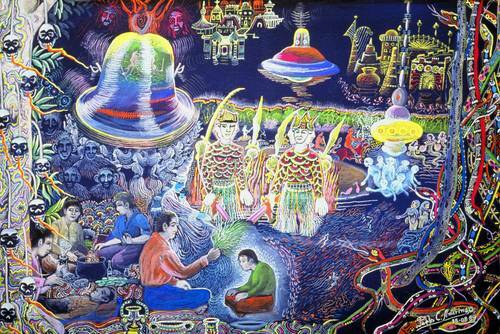 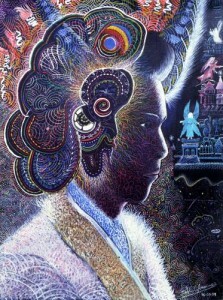 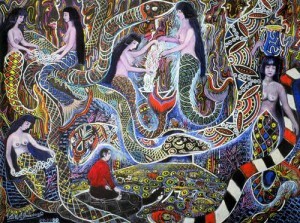 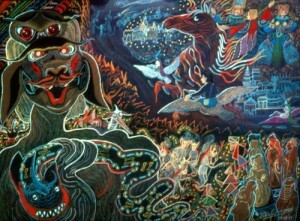 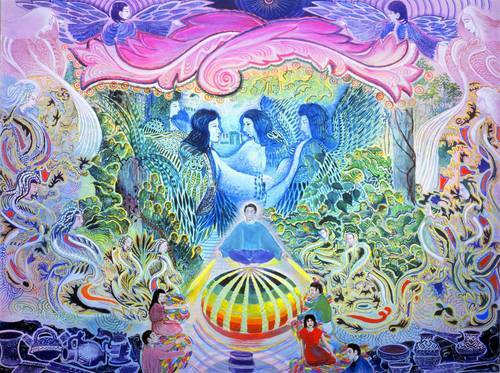 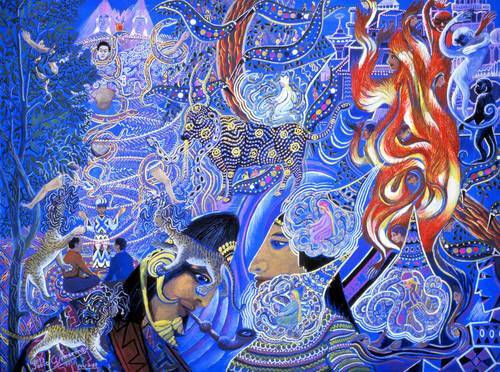 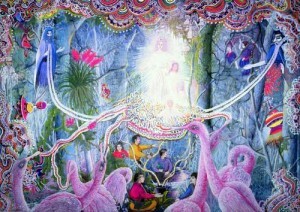 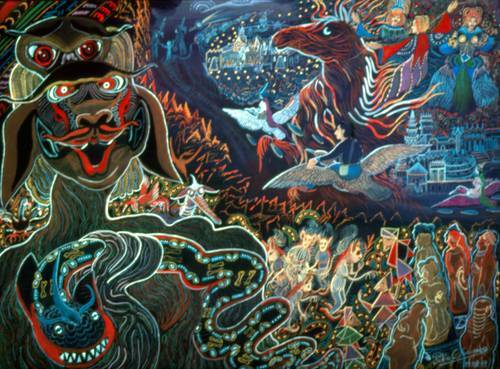 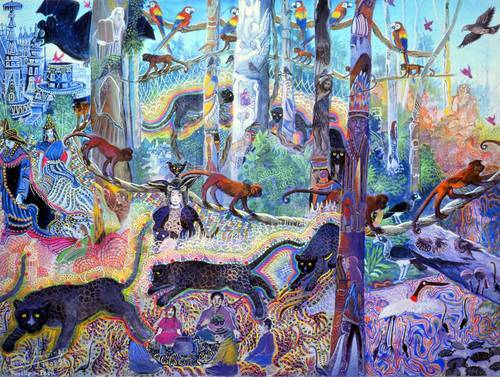 The Peruvian shaman Pablo Amaringo is the most famous and gifted of Ayahuasca artists working today and has kindly granted us permission to reproduce here a gallery of his paintings. 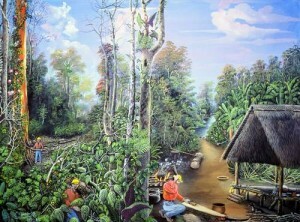 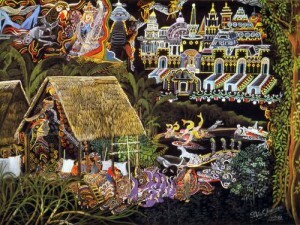 Click on any of the images for a larger view. 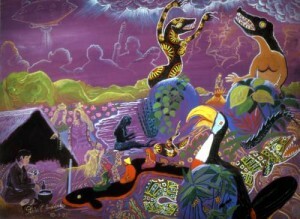 For further information on Pablo and his work see www.pabloamaringo.com.